The Garmin Approach S6 golf GPS watch is one of their newer models and is a successor of the S5. This watch is a high-end golf GPS watch with features unmatched by competitors outside of the Garmin line of products. If you’re in a position to spend a little more money and enjoy high-end features, this is the product for you. Quite simply, Garmin has mastered the golf GPS watch and has cornered the market on high end products. This is definitely one of the best golf GPS watches of 2016. The Garmin Approach S6 provides yardage to the front, middle, and back of the green with high resolution finishes unlike any other golf GPS watch. This watch features a high resolution color-touch screen, which allows you to drag the pin to any location on the green. This feature allows you to dial in your shot down to the yard. When you’re playing a course with a large green, no more guessing the distance to the “middle-back” portion of the green. Like other high-end golf GPS watches, the Garmin Approach S6 displays yardage to all layup positions and doglegs. 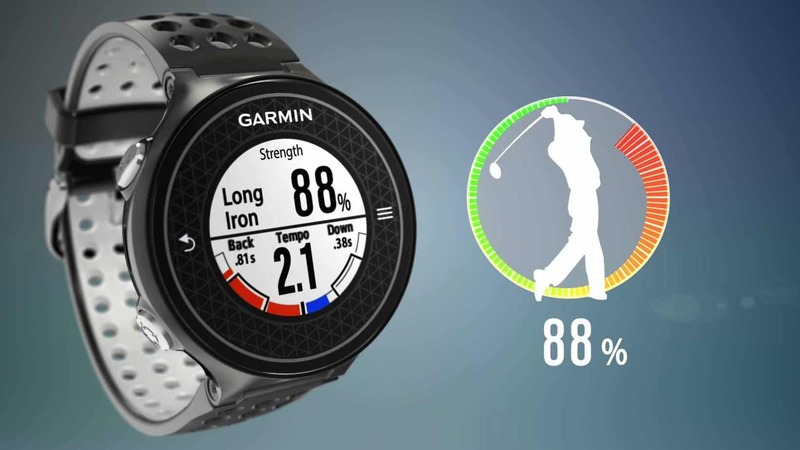 You can easily spot hazards on the touch screen of the watch and measure yardages to any portion of any hazard on a golf course – a feature unmatched by any other golf GPS watch on the market. Regardless of what handicap you have, these features are going to shave strokes off of your game. 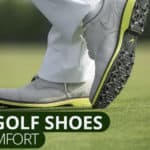 Unlike other golf GPS watches, because you can see the hazards and get detailed yardage on a color screen, you will even save strokes on golf courses that you have never played before. 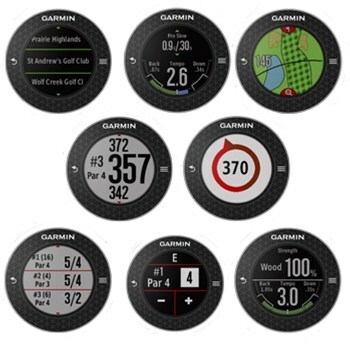 The Garmin Approach S6 comes pre-loaded with over 40,000 different golf courses across the globe and does not require any type of membership/subscription fee or downloads of any kind. Simply charge it up and head to the course. 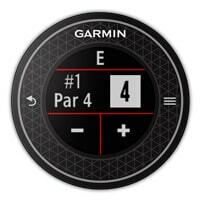 The Garmin Approach S6 also features automatic course recognition and the traditional hole advance feature that automatically places you on the next hole depending on your GPS location. The Garmin Approach S6 features a 4.5 cm x 4.5 x 1.42 cm screen that is 1” in diameter. This screen is big enough to display the entire hole in full color at a 180 x 180 pixel resolution. The watch weighs 1.6 oz (lighter than the Bushnell NEO-iON). 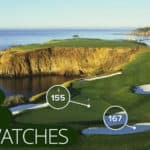 When looking at the watch you can easily see all of the yardages, hazards, etc., without feeling like you have a bulky computer on your wrist. According to Garmin’s website, the Garmin Approach S6 will last for upwards of 10 hours on GPS mode and up to 20 weeks in watch mode. To translate that into golf rounds, in my experience, this watch lasts for about 27 holes before you need to recharge it. This is slightly less than other golf GPS watches that can typically last about 36 holes or longer. That being said, other golf GPS watches do not feature a high resolution color touch screen, so you kind of have to pick your poison. Either you have fewer features and a longer battery life or a lot of features and a shorter battery life. To put it simply, my old Nokia brick cell phone’s battery lasted a lot longer than my iphone battery does, but I still have an iphone. My favorite unique feature of this watch is the swing metrics function, which is unmatched by any other golf GPS watch on the market. There are three different functions of swing metrics, 1) SwingTempo, 2)Tempo Training, and 3) Swing Strength. This feature of the Garmin Approach S6 measures the relationship between upswing and downswing and expresses it as a ratio. In studies of successful golf swings, an ideal ratio of 3:1 has emerged, even with individual variations of speed. In plain English, this feature measures the tempo of your swing to train you to swing at the ideal tempo as measured and studied by golf professionals. This feature uses the 3:1 ratio identified by the SwingTempo technology and gives you audible tones to synchronize your swing mechanics and fine-tune swing tempo. In plain English, it audibly signals to you during your swing so that you know how your swing matches an ideal tempo. 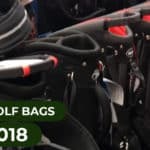 This feature is fantastic for the driving range, especially if you have a short and stubby swing that needs to be elongated for a smoother rhythm. 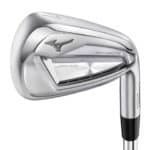 This feature gives you an idea of the swing power that you are exerting for any given swing. This is another incredibly helpful feature for practicing on the golf range. 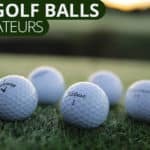 It can be used to improve your consistency when practicing shots using a ½ swing or ¾ swing when you’re trying to get a feel for those shots that are in between clubs. 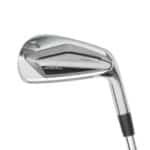 It is especially helpful when practicing with your wedges to avoid the awful feeling of flying the green or leaving it short after placing the ball between 30-80 yards of the pin. The Garmin Approach S6 is water resistant up to 50 meters and includes an odometer for step tracking during a round. Although step tracking if a basic feature of almost all golf GPS watches these days, most watches are water resistant to only 10 meters (except for the Bushnell NEO-iON, which is waterproof). This golf GPS watch allows you to keep the score, eliminating the need for scorecards and small pencils. This feature is a big improvement from the S2 version, as the S6 allows you to keep Stroke Play and Stableford scores, which can be downloaded to a computer and analyzed after the round. You can also keep track of the number of putts per hole, greens & fairways hit in regulation, as well as the average distance of various shots all on the GPS watch. If you’re really into the stats, you can compare stats with other players online through Garmin Connect and simulate your best possible golf round by pairing all of you best scores on individual holes on a given golf course. Stat nerd heaven!! This golf GPS watch is also equipped with a Bluetooth feature that allows you to pair it with your cell phone. This allows the user to receive emails, texts, alerts and other notifications right on the watch. The Garmin Approach S6 displays whatever your iPad® or iPhone® (4s or later) can display wirelessly via Bluetooth. The Garmin Approach S6 is an athletic looking watch that has an almost futuristic feel to it. It’s light weight (1.6oz) and can be worn casually or with a business suit (depending on the color). Although it does have a sportier feel to it, I don’t mind wearing this golf watch to the office. But don’t be surprised when it attracts some attention. This one is a no-brainer. The Garmin Approach S6 is still the king and is the best golf GPS watch of 2016. If you’re in the market for a high end golf GPS watch, buy the Garmin Approach S6. It has no real competition on the market when it comes to the features and advantages this watch offers. From the golf range to the golf course, the Garmin Approach S6 is simply unmatched because it offers almost every feature that you could want out of a golf GPS watch.